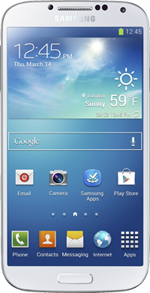 Galaxy S4 is the newest smartphone launched by Samsung with unbeatable features. It is the most powerful and desirable device Samsung has created ever. Each feature are designed to simplify our daily lives with much faster processor. A new feature is the Galaxy S4’s remote technology which allows users to control functions without touching the screen. With a powerful Camera, 16/32/64 GB internal storage with external storage slot, Sensors, Google mobile features currently Samsung Galaxy S4 has become an unbeatable gadget in the market. First smartphone to use FULL HD Super AMOLED Display feature. Display Size is 5 inch with 1,920×1,080-pixel resolution. Much slim body. Only 7.9 mm thick. Unique textured design. Fine diamond pattern beneath the gloss surface. Less weight. Only 130g of weight. Performance of Samsung Galaxy S4 is much better with 1.9 GHz Quad-Core Processor / 1.6 GHz Octa-Core Processor. Having latest Android 4.2.2 (Jelly bean) OS. Faster performance with 2 GB RAM. Samsung Galaxy S4 comes with a powerful camera with much features. With various features like Dual Shot , Drama Shot, Sound & Shot, 360 Photo, Animated Photo, Eraser, Night, Best Photo, Best Face, Beauty Face, HDR (High Dynamic Range), Panorama, Sports. With Smart Pause user can pause a video by looking away from the screen. Smart Scroll lets users scroll through emails without touching the screen. Network: 2.5G (GSM/ GPRS/ EDGE): 850 / 900 / 1800 / 1900 MHz, 3G (HSPA+ 42Mbps): 850 / 900 / 1900 / 2100 MHz, 4G (LTE Cat 3 100/50Mbps) : up to 6 different band sets (Dependent on market). Google Mobile Services: Google Search, Google Maps, Gmail, Google Latitude Google Play Store, Google Plus, YouTube, Google Talk, Google Places, Google Navigation, Google Downloads, Voice Search. Sensor: Accelerometer, RGB light, Geomagnetic, Proximity, Gyro, Barometer, Temperature & Humidity. Connectivity: WiFi 802.11 a/b/g/n/ac (HT80), GPS / GLONASS, NFC, Bluetooth® 4.0 (LE), IR LED (Remote Control), MHL 2.0.